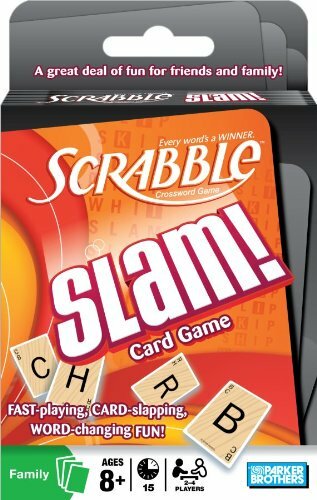 SCRABBLE SLAM is a fast-paced word game where anything could happen! Race against each other to change the existing four-letter word and get rid of your cards. “Game” could become “fame” and “fame” could become “fate”—you never know where it’ll go. Be the first player to get rid of all of your cards to win!